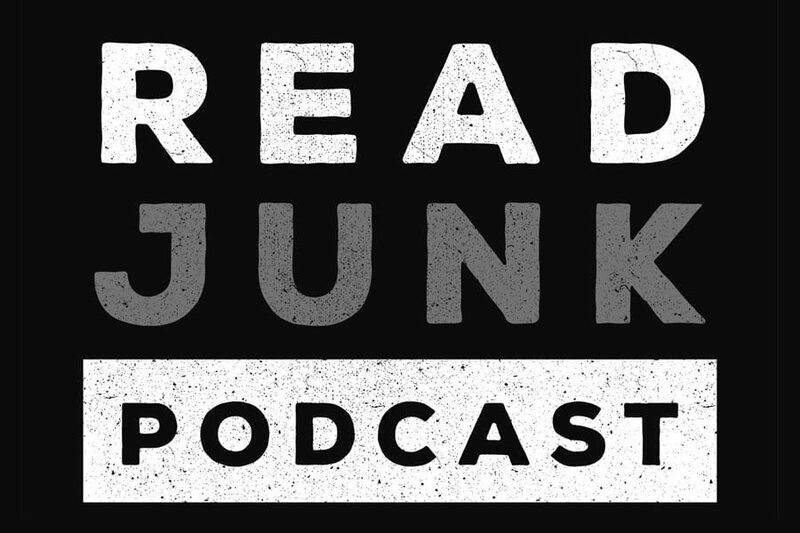 So the ReadJunk Podcast format is going to be changed a little, unfortunately. For 27 episodes so far, I did playlists and a few episodes of interviews/talking with friends. I’m going to be doing away with the music portions of the episodes because of music licensing and copyright issues. So going forward, I won’t be playing music except maybe some bands that don’t have an issue with having their music being promoted for free. For the most part, I’m going to switch up the podcast to be just 2 or 3 times a month (or whenever I have content) and do interviews, discussions with friends, that type of stuff. I had an artist/band write me about the last podcast and raised the issue of me playing their song for free, without royalties and not asking for permission. Sometimes I ask for permission but didn’t always. I was unaware that this might not be kosher for some bands, considering things are on YouTube and all over the place. 9 times out of 10, bands would be fine with me promoting their music and talking about them, some don’t want their music out there that is downloadable. YouTube has music but those places pay small peanuts to the artists but it’s still something, whereas I can’t do that. I’m used to the college radio format type of stuff where you can play whatever you want and not have to worry about it. I didn’t know college radios usually pay a fee to ASCAP and other places to do that. So even though I’m getting rid of the music portion of the show, the show won’t be going away. I still love talking with people but the issue with that is just finding the time to do that. I’ll have to make more of an effort to record something 2 or 3 times a month when I’m at shows or when I’m hanging with friends. I loved the 3 or 4 episodes that I’ve done so far with musicians and friends so I want to explore that a lot more. Then, I can put the podcast on places like Youtube and Spotify because it won’t contain any music. Perhaps I’ll need a theme song for the show though. Since the format is changing, I need guests so if you want to sit down in person to talk with me, hit me up! If you’re in the NY/NJ area and want to talk, let me know and we can figure something out. I’m willing to interview people over Skype but just need to test out how it will sound because I’m not really a fan of how it sounds for some other podcasts. Rather do things in person, where I can talk face to face. So the format is changing, but the podcast is still here! Enjoy the older episodes for now because I’m not sure if I’ll have them around forever considering someone could still have issue with previous episodes.